I’m not much of a film buff, I haven’t watched everything on any ‘100 films to see before you die’ list, and I certainly don’t think anyone would describe my film choices as particularly cool, whatever that means. But, I do enjoy watching a good film from time to time, and I always look out for adaptations of books I’ve read, or books I’d like to read. There are always discussions about adaptations, and I find it interesting that they always divide opinion. 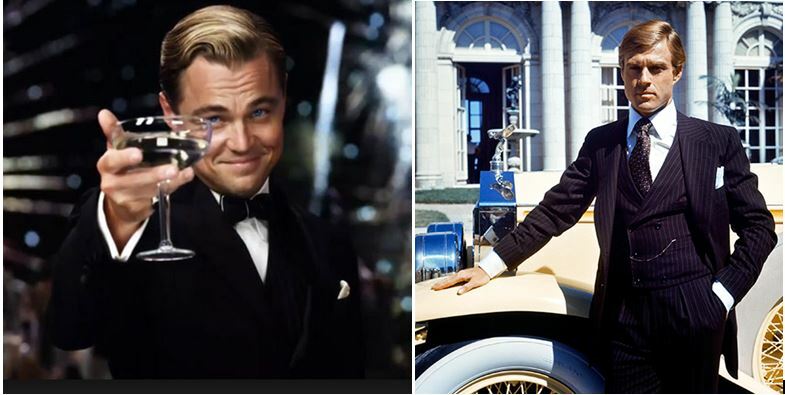 Are you a fan of Leo Dicaprio or Robert Redford as Jay Gatsby? A perfect example of this is the reception of Baz Luhrman’s adaptation of The Great Gatsby which came out last summer (I loved it, but then I hadn’t seen the 1974 version starring Robert Redford as the inimitable Jay Gatsby). On number 1, film directors always seem tempted to play with book adaptations, some striving to be as faithful as possible, or others being more adventurous with the format, such as Baz Luhrman’s Romeo + Juliet (which will always be my favourite adaptation of Shakespeare’s play), or 2012’s version of Anna Karenina by Joe Wright (which I also thought was brilliant). Another example for point 2 would be Roald Dahl’s Charlie and the Chocolate Factory. If you’ve seen the original adaptation, known as Willy Wonka and the Chocolate Factory, filmed in 1971 and starring Gene Wilder), then it may have been quite hard to warm to the more recent 2005 Tim Burton film starring Johnny Depp as Willy Wonka. It’s all a matter of which one you’ve seen first in some cases, as that’s the one you’ll come to associate most with the book. I’ve been thinking about book adaptations and wondering what my favourites have been, so I decided to come up with a list of my top 10 book adaptations on screen (in no particular order). 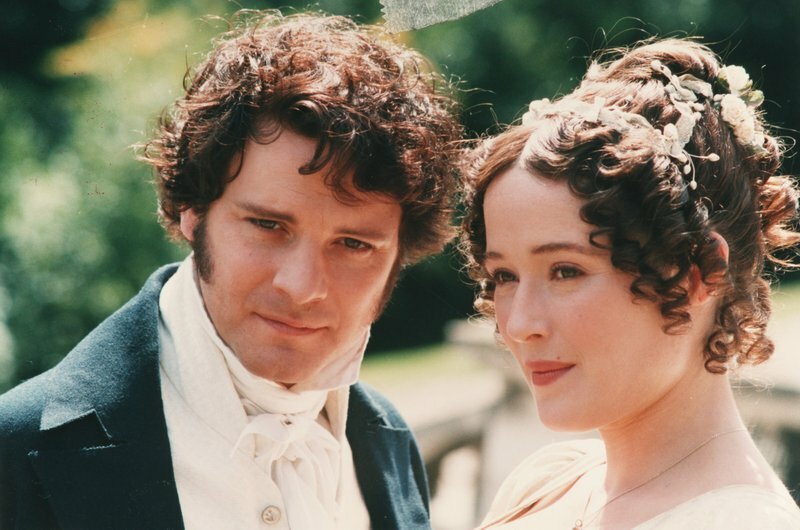 I loved both the BBC TV series with Jennifer Ehle and Colin Firth, and the 2005 film with Keira Knightley and Matthew Macfadyen, as I particularly loved the actor chosen for Mr. Bingley. I only read Pride and Prejudice last year but I felt that I already knew the story inside out – it’s such a well-known story that it could probably be adapted into many different styles, in fact, the Bollywood version Bride and Prejudice was also good fun. 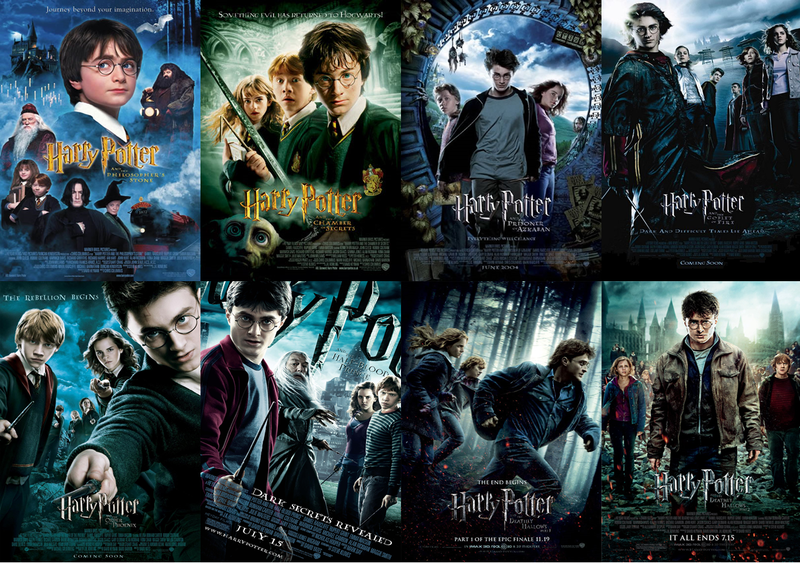 This trilogy will always remind me of those long student winter breaks, and watching the extended versions of the films over the course of a few days with my brother who is a big fan of both the films and the books. 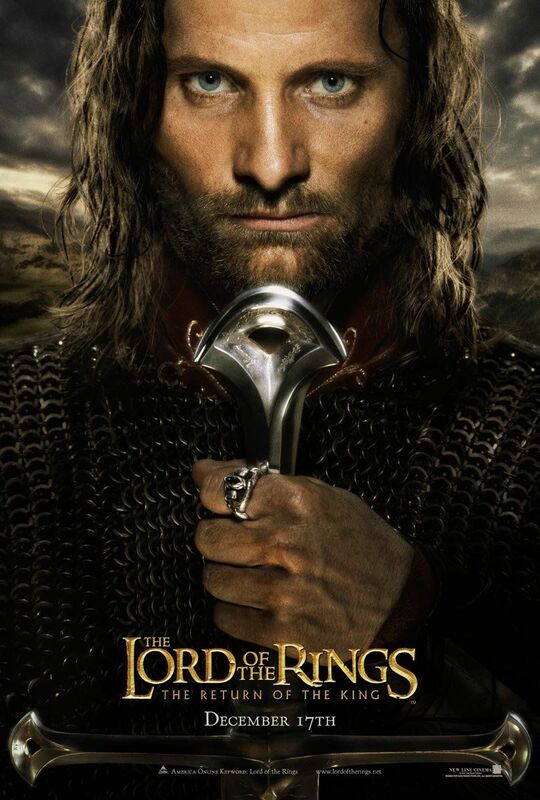 I haven’t read the trilogy (I think I’ve read just 100 pages of The Fellowship of the Ring), but the world that J.R.R Tolkien created is brought to life on screen by Peter Jackson and the detail in each of them is astonishing. I miss being able to see them on the big screen at the cinema. There may also be some truth in the allegation that my love of men with beards comes from watching these films. Ahem. I loved the books, as most book lovers of my generation do. Yes, the first few films have some cringe-worthy acting in them, but I love them all the more for it. It’s so nice to see the characters (and the actors who play them) grow up on screen. Perfect films to watch on a rainy afternoon! The version I love is probably not the same as others have seen (I’ve heard many people love the film version starring Omar Sharif). For me it’s a TV adaptation – I think it was an ITV adaptation (starring Keira Knightley in her younger years) that came free with a newspaper many moons ago. I love the story, and it will forever remind me of winter in my old flat as I watched it whilst wrapping Christmas presents and making cards with my Christmas tree twinkling beside me. I haven’t read the book yet but it’s on my list – it’s such a beautiful story and the setting is wonderful which is why I think I fell in love with it. I’d be interested to watch the Omar Sharif film and see how it compares. 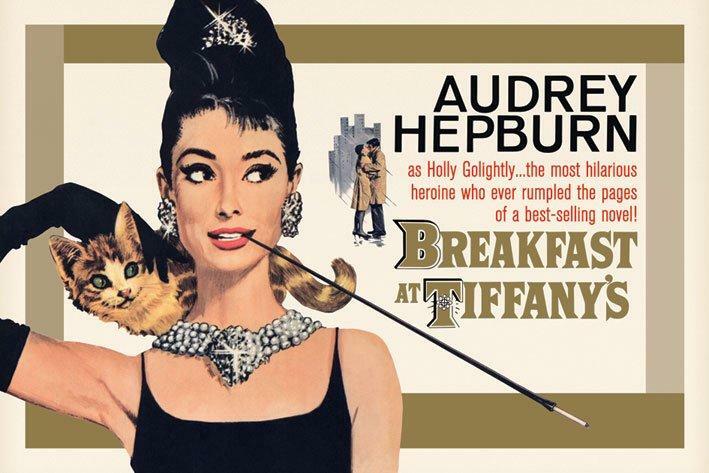 I caught the last hour of this film on TV recently ago and it reminded me of just how much I love it, particularly Audrey Hepburn’s portrayal of the ‘genuine phoney’ Holly Golightly. I did enjoy Truman Capote’s novella, but in this case I think the film is far superior. A classic! I thought the books in this trilogy were brilliant, I read them furiously, spending about a day over each of them. I remember finding it really hard to write book reviews for them as I couldn’t find a way to express how much I’d enjoyed them and was just finding my feet with blogging at that stage. I think Jennifer Lawrence is pretty great as well and look forward to anything she’s in. I have recently rewatched the first film as I hadn’t loved it the first time round – I felt it had been dumbed down (or made less harrowing) to appeal to a wider audience (aka making it a 12A so that kids would be able to see it and they could make more money at the box office). 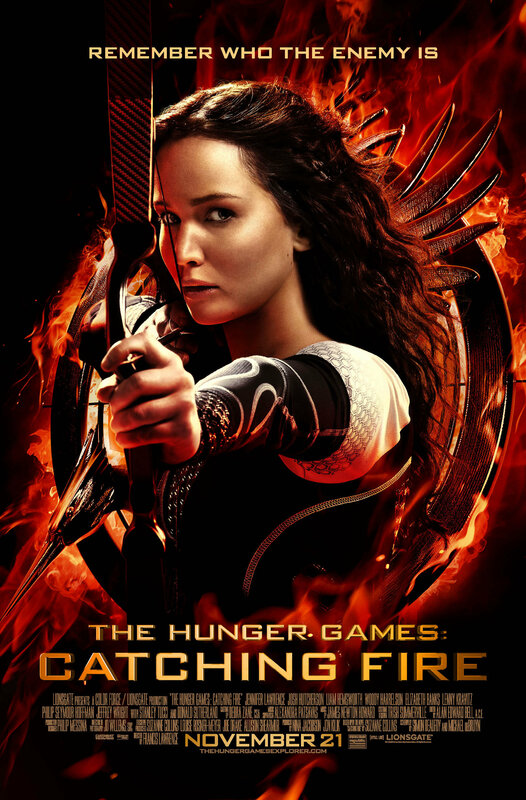 It’s much better on the second viewing, and the second film Catching Fire was far superior, although it seemed loads of details were missed out to get it within a reasonable time. I’m looking forward to seeing the final instalments which have been split into two parts, á la Harry Potter and the Deathly Hallows and Breaking Dawn from the Twilight series. 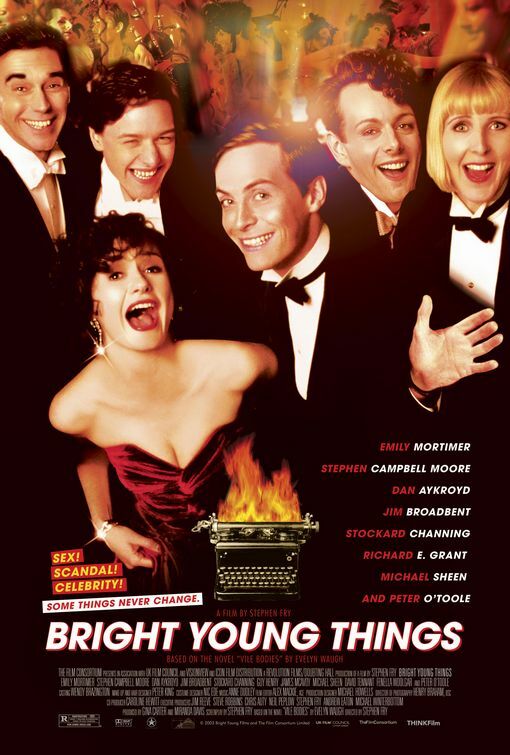 This is based on Evelyn Waugh’s brilliant satirical novel Vile Bodies – the film by Stephen Fry sticks pretty faithfully for it and it’s such a hilarious story. A glimpse of the young and pretty people in 1930s England, it’s as glamorous as the book is and really captures the whole feel of it. An example of an adaptation that sticks quite closely to the original story and works really, really well. Do you remember the first time you studied a play by William Shakespeare in school? This was mine, and I remember watching this adaptation after studying it and appreciating for the first time how the play could come to life on screen and wasn’t solely fit for the stage. It’s a daring adaptation this, a modernised version, but it really works. It has the glamour and bright lights of all the best Baz Luhrman films – it’s magical, and is all the more heartbreaking for it. It doesn’t make for easy watching but it certainly packs a punch. 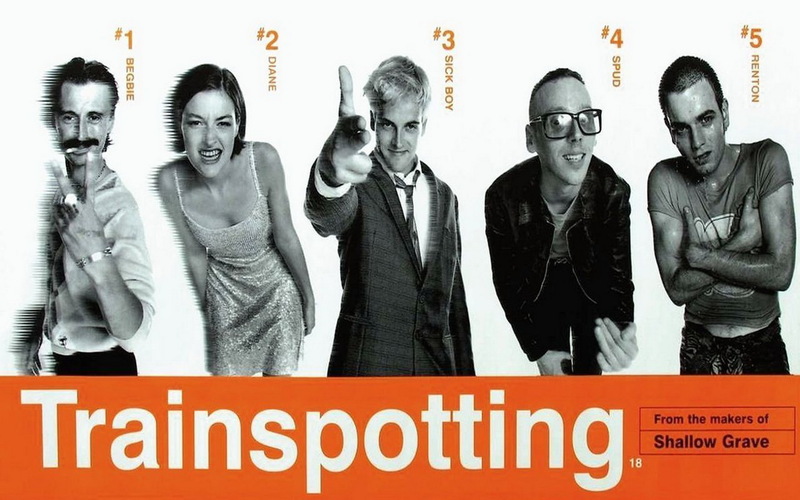 It’s a powerful portrayal of the drug culture featured in Irvine Welsh’s novel of the same title and has brilliant performances from Ewan McGregor and Robert Carlisle – it’s one of those films that once you’ve seen it, you certainly won’t forget it. 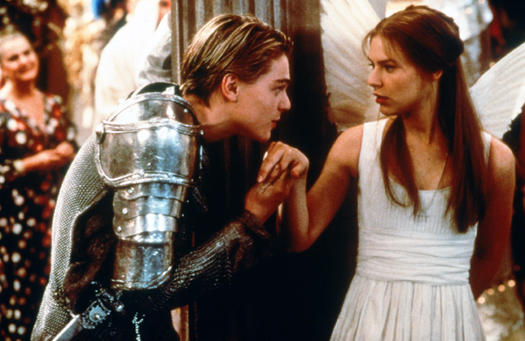 It’s an iconic film that really captures the ’90s so well. I remember using this book for teaching when I was working in Spain and fell in love with a black and white film adaptation which I think is probably the 1935 version. The entire film used to be available on youtube but I can only find the trailer now. If you can track it down it’s well worth a watch! I’m hoping to watch the adaptation of Diane Setterfield’s gothic thriller The Thirteenth Tale at some point this week as I have it saved on the iPlayer. 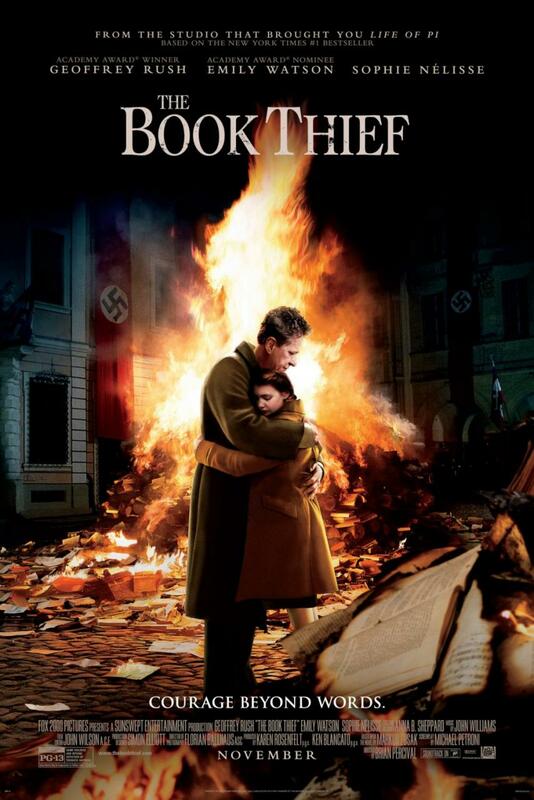 I loved the book and I’m hoping the film will live up to it! What are your favourite adaptations? And which book adaptations are you looking forward to this year? 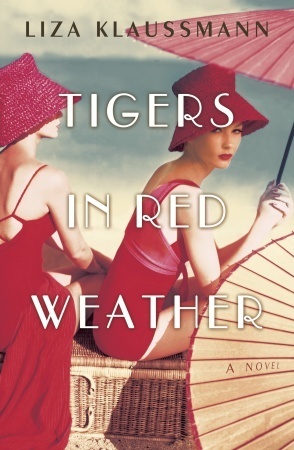 I think I first heard of Liza Klaussman’s Tigers in Red Weather last year, when Klaussman was at the Edinburgh book festival and this was up for Anobii’s First Book Award. It immediately caught my eye – first of all, the cover is stunning. It already seems like an iconic book cover to me, and after reading the book I think it strikes the mood just perfectly. I prefer the UK cover to the US edition, which seems a bit staged to me, and doesn’t quite capture the effortless glamour of the UK one. The novel is part family saga, part murder mystery, set after the Second World War in the idyllic Martha’s Vineyard. Nick and her cousin Helena open the novel in a heatwave, dancing and drinking on their lawn as they look forward to their lives restarting. Helena will be setting off to LA to live with a new husband, while Nick is awaiting the return of her husband Hughes from duty. From the offset, the book is sultry, you can feel the heat and imagine the moonlit nights and salty air and feel the women’s excitement. The novel is split into five sections, each told from the point of view of one member of Nick and Helena’s family, flashing back and forward in time, spanning across several decades and continents, always returning to the same focal point. 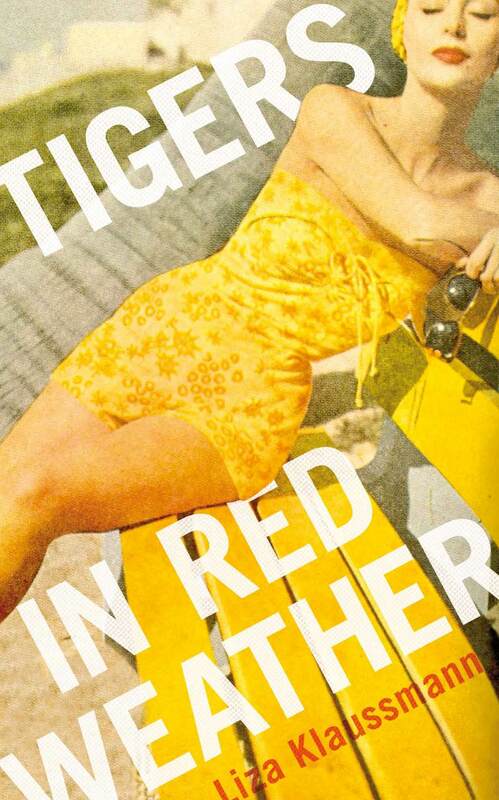 The centre of the family is the house in Martha’s Vineyard, Tiger House, and the narratives centre particularly around the events of one summer when Nick’s daughter, Daisy, and Helena’s son, Ed, stumble across a young Hispanic maid who has been brutally murdered. We start with Nick, who is intriguing, smart and intelligent, but also bored and prone to acts of defiance, such as strutting about her rather prim and proper neighbourhood in a revealing swimsuit, or getting drunk with the band she has hired to play at a party she is hosting. She describes her frustration at the husband the War returns to her, so different and distant from the man he was before, spending her days lazing around waiting for him to come home from work, worrying about what meals to make. Then her daughter, Daisy (then 13), picks up the narrative, skipping through a summer when she is intent on winning the junior tennis tournament and spends days in training. It is also the summer when she will first experience love and heartbreak, and this summer will have devastating effects on her life many years later. I found Helena’s part the most difficult to deal with – she does not have an easy life in L.A. and I found myself wanting more for her, and desperately wanting her to wake up to the realities of life. When it is Hughes’ turn to pick up the thread, we see him in London during the War, at New Year, at a time when home, and Nick, seem very far away. I loved hearing his side of the story, but it is Ed’s narrative that you really wait on – he is like a shadow throughout the book, people are constantly accusing him of creeping up on them, and when he is caught in compromising situations, he describes his interest in people and their misdemeanors as ‘research’. He is a troubled character, feeling the effects of his mother’s passivity, having grown up watching his father as he obsessively collects film and photographs of an ex-girlfriend in the hope of making a film about her. There is something brooding about him that seems to hang over the family. I didn’t appreciate at the beginning that there would be concurrent narratives from different points of view and I really enjoyed it as it gives you each member of the family’s side of the story. At the end, though, there are still mysteries, family secrets that are best left undiscovered. It highlights the connections that hold a family together that outsiders aren’t privy to, and that even at the worst of times a family will always look out for their own. It is certainly a book that will stay with you. I was chatting about this with my Book Club friends at the beginning of the week and we all loved it. We all discussed how lovely it would be to drink gin cocktails from jam jars and laze on the beach. There are elements of F. Scott Fitzgerald’s Tender is the Night in the glamour that surrounds Nick and Hughes, the appeal they have to others and the bond between them. With a little bit of Daisy and Tom Buchanan in The Great Gatsby in there too I imagine (and of course Klaussman gives Nick and Hughes’ daughter the name – not a coincidence I imagine). And the summer seaside glamour of Bonjour Tristesse by Françoise Sagan is also in there too, and the complexities of adult relationships, their children trying to comprehend the secrets between a husband and wife. It’s a heady book to get wrapped up in, and I really cannot wait to see what Liza Klaussman comes up with in her next book. 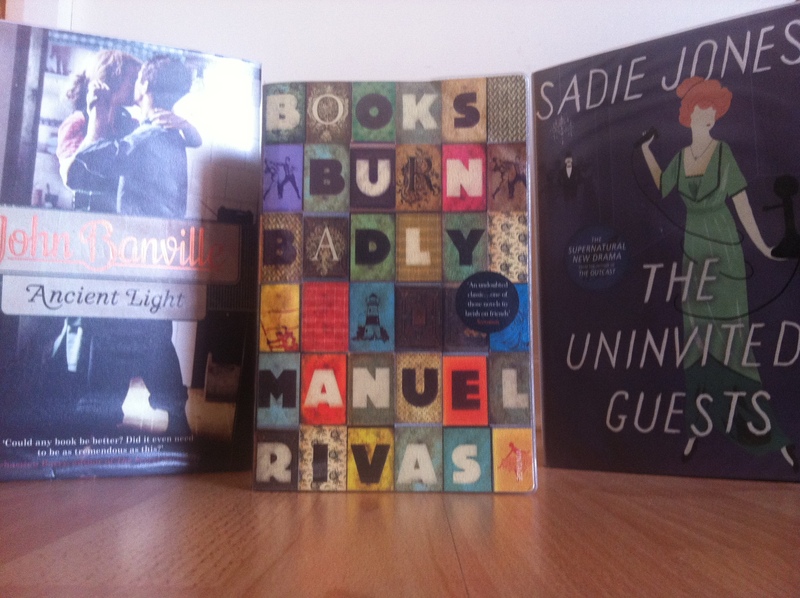 The other nominees for the Anobii First Book Award in 2012 can be seen here. There are some great books on the list, many of which I would love to read. That said, there are also several that I have never heard of and I wonder if being nominated for the Award has much influence on the visibility of the books and if sales go up much. The Award was won last year by Azazeel by Youssef Ziedan which I’ll admit is one I hadn’t heard of before. The First Book Award is now sponsored by ebooks by Sainsburys – the nominees for this years’ award are listed here, with the announcement of the winner to be made after voting closes on the 14th of October. If you want to vote, you can do so here. There are 42 books on the list and I have to admit that I haven’t read any of them so I won’t be voting this time round. There are quite a few that I haven’t heard of – although I have heard that The Fields by Kevin Maher (about a 13-year-old Irish boy growing up in Dublin in the ’80s) is very good – I actually heard Kevin Maher talking and reading from the book at the Edinburgh Book Festival and thought it sounded dark but funny too so will hopefully read that soon. Hello all, again it has been a while. I seem to be a feast or famine kind of blogger, but I am getting internet in my flat (finally!) which will make my life an awful lot easier, and my blog a lot more content-filled. 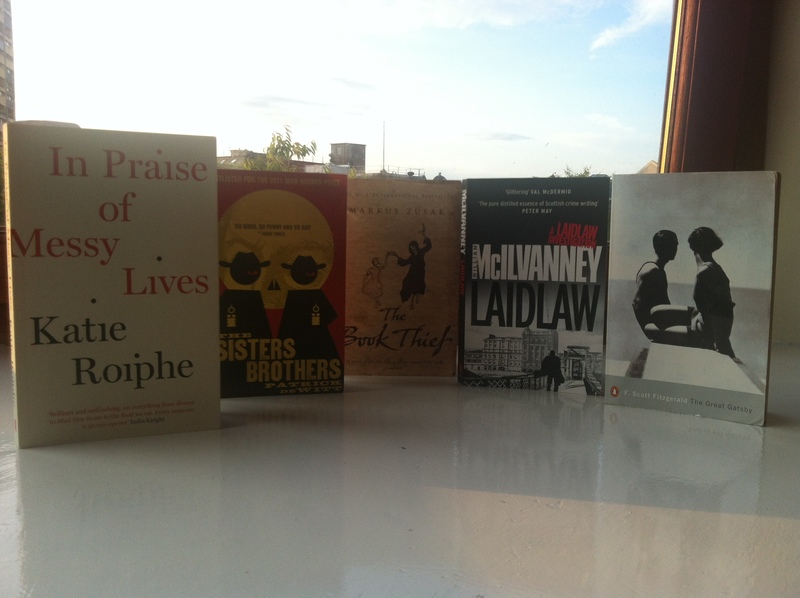 I decided to do a quick round-up review of the books I read on holiday as it has been a few weeks now. I had a wonderful holiday, and lots of much-needed relaxation was enjoyed. The first week was pretty hot (averaging 44°C some days), and I struggled to concentrate whilst I was acclimatising. The second week was moderately cooler and much more bearable (about 39°C) and allowed me to up my reading speed. I am slightly ashamed to say I only read 4 books on holiday, in fact, arguably only 3 as the third was finished on my return. 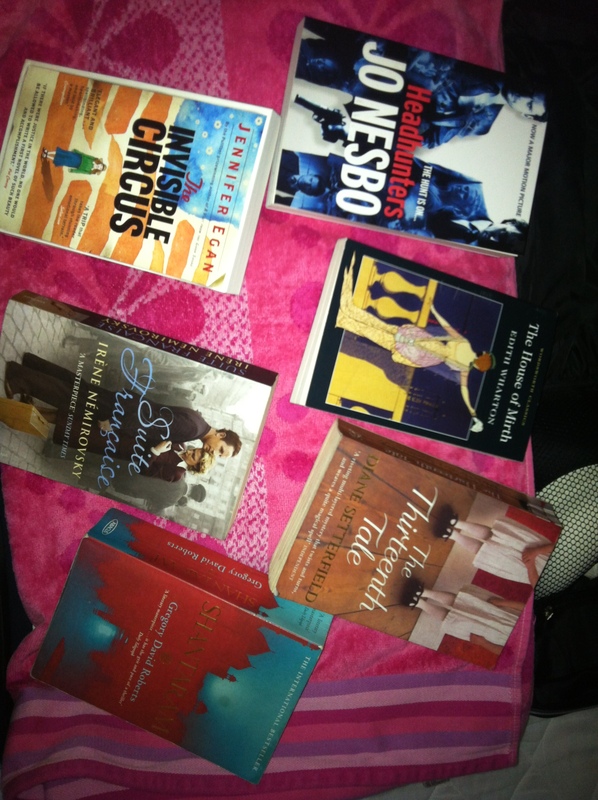 My boyfriend will never let me live down the fact that he read more books than I did. On his list were James Kelman’s How late it was, how late, Juan Pablo Villalobos’ Down the Rabbit Hole, Jo Nesbø’s Headhunters and F. Scott Fitzgerald’s The Great Gatsby. And he even had time to start on Ken Kesey’s One Flew Over the Cuckoo’s Nest.